Moto E is about to launch day after tomorrow with nothing leaked or announced specs, but this weekend Zauba, an Indian website that keeps a track of goods imported to India, suggests that the phone would be priced around Rs 8,500. And now, the phone has been revealed in leaked images. A Brazilian retailer, reportedly, has published a few images of the phone along with its specs – three days before Motorola officially announces it. 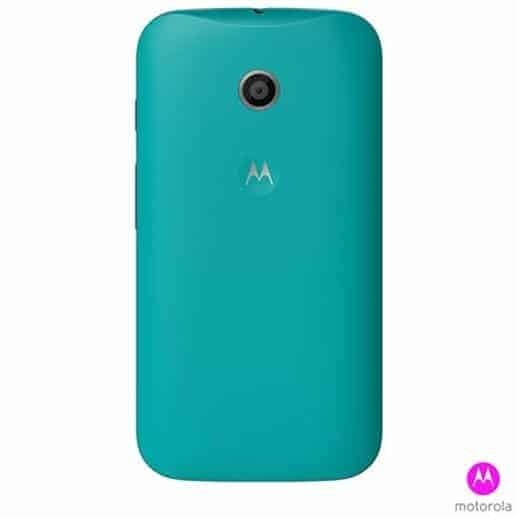 According to the listing, the Moto E will have a 4.3-inch display, 1.2GHz dual-core Snapdragon along with 1GB RAM, and a 1,980mAh battery. It will sport a 5 megapixel camera and will support a memory card of up to 32GB for additional storage. Quite like the Moto G, the upcoming Moto E will support swappable back covers (Motorola Shells), which will be available in various colours. There is no word on its price, but we expect the phone to come for under Rs 8,500. 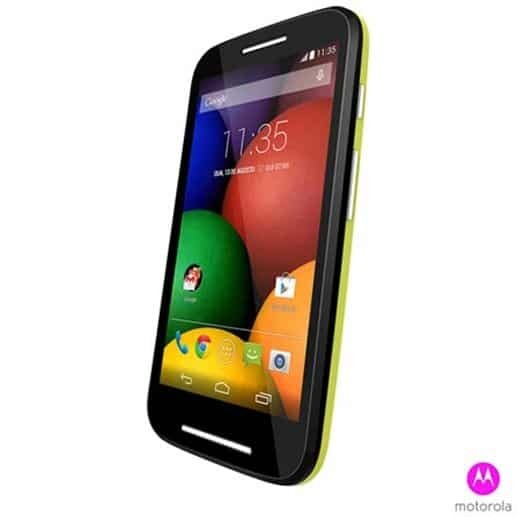 Price is the strongest reason that led to the success of the Moto G in India. And now with the budget-friendly Moto E smartphone, the company seems to be gearing up to repeat its success story, but this time it is in under 10000 INR category. This segment is currently ruled by Indian smartphone makers like Micromax, Lava and Karbonn.